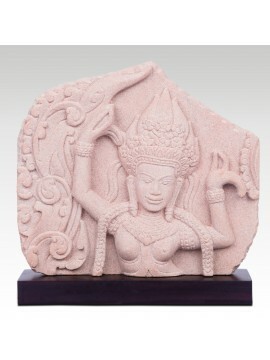 This piece hand carved in sandstone depicts a graceful Apsara, or heavenly nymph, who is dancing. 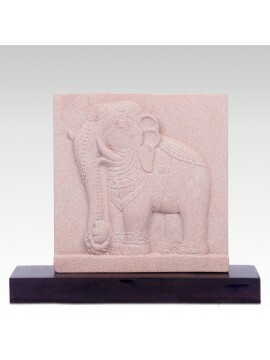 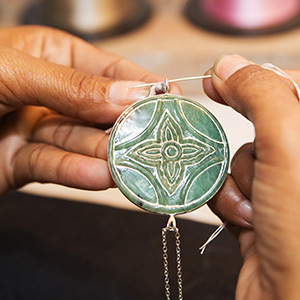 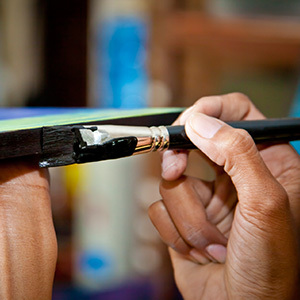 This bas-relief was inspired by the specimens that can be admired on Angkor Wat temple walls (XIIth-XIIIth centuries). 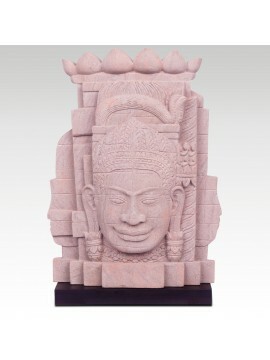 This bas-relief depicts the faces which can be seen on the towers of the Bayon temple at the Angkor site (XIIth-XIIIth centuries). 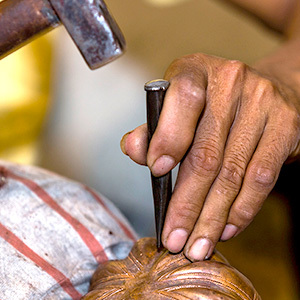 It was sculpted from a block of sandstone, which is the same material that was used to build the Bayon temple. 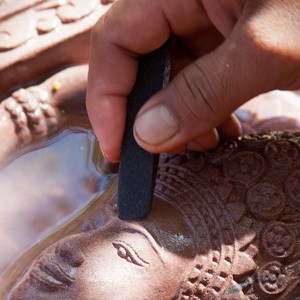 This graceful bas-relief depicts an Apsara doing her famous celestial hand gestures. 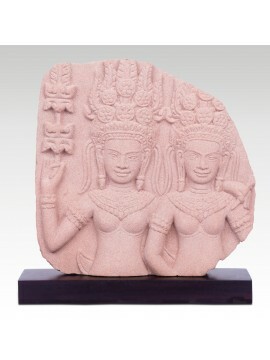 The piece was carved in sandstone and was inspired by the Apsara images that can be found at Bayon temple (XIIth-XIIIth centuries). 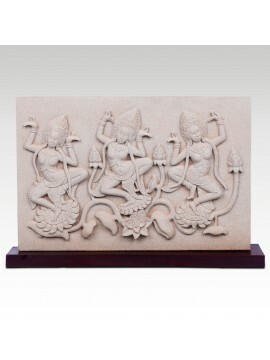 This sandstone piece is a bas-relief depicting three celestial nymphs, also called ‘Apsaras’ who are dancing.